Travel around the Gulf of Naples! We offer transfers to and from all areas in the Gulf of Naples, Capri, Sorrento, Positano, Ischia, Procida and Naples by Water Taxi. The boats we use guarantee fast and comfortable journeys for up to 12 people on board at a time. In addition, we offer an exclusive Water-Limo service for confidential transfers. Our trusted staff will handle your transfer by car from Rome or Naples Airport all the way to the Mergellina Harbour in Naples. 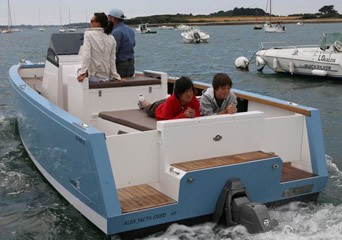 An elegant motor yacht will be waiting for you there, together with an excellent greeting service. Soft drinks and snacks will make your welcome on board even more pleasant! In just 40 minutes, weather conditions permitting, you will arrive at the Marina Grande harbour in Capri. A taxi will be there, ready to take you to your Hotel! Quick transfer to restaurants and beatches of Capri.